Announcing the ultimate in teen and adult action. BoulderDash offers it all! 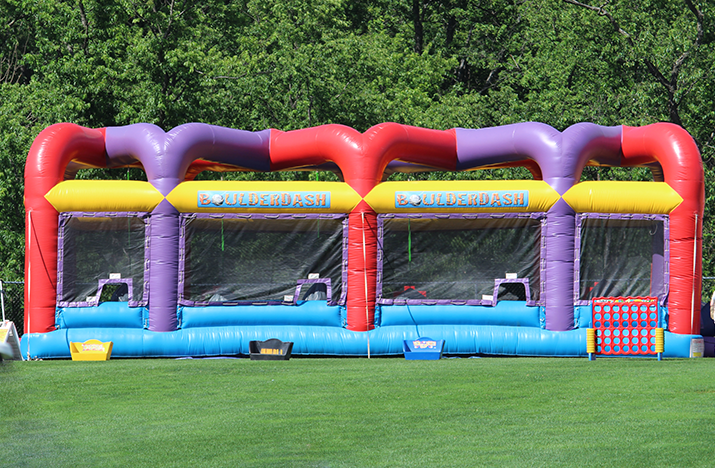 Two opponents face off head-to-head, zigzagging across raised foam platforms – all the while dodging swinging foam boulders hurled by 6 onlookers! The first person to make it to the other end without falling wins. It’s a dash to the finish in this game that combines speed and strategy. The BoulderDash supports 2 players inside the unit and 6 people outside throwing boulders – a total of 8 players in this thrilling game!